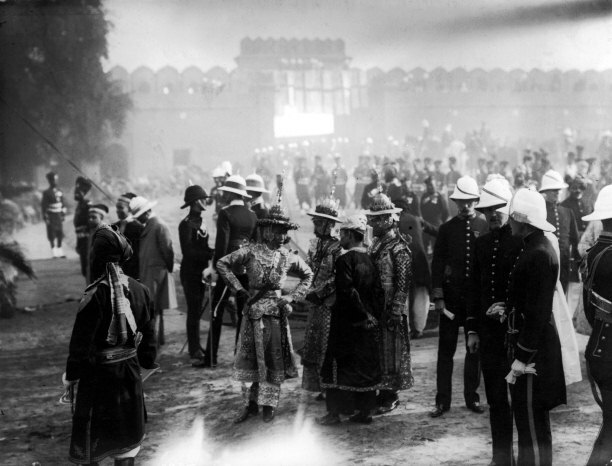 At the Coronation Durbar of 1911 George V announced that the capital of British India was to be transferred from Calcutta to Delhi. But the move to the new model city was a troubled one, as Rosie Llewellyn-Jones explains. Today Coronation Park lies in a desolate area north of old Delhi, just off a major motorway. It has reverted to scrubland, where cows graze and makeshift cricket is played by local lads. At its centre a square of chipped steps leads up to an obelisk, which looks at first glimpse like a war memorial. Only a red sandstone plaque at the scruffy entrance gate to the park hints at the former glory of this site, which witnessed a profound and final change in the governance of India by Britain.